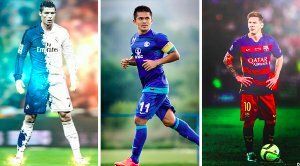 For all the latest news, photos, video highlights, reviews, editorial, tactical analysis from I-League 2017 and Indian football, sign up for Khel Now. What a game. Both teams had the second half evenly but that one moment from Jugovic could flip the title race on its head. This defeat will be tough for Aizawl to take, mentally as much as anything. But, for now, they must watch the two Kolkata clubs do battle. For Bengaluru this is another shot in the arm. They haven't been at their best all season but have dug out two massive results this week in the AFC Cup and the league. The Kolkata Derby is coming up shortly and my colleague Punit Tripathi is standing by to take you through all the twists and turns in this fascinating title race. Good evening from Bengaluru. 90+5' There'ssurely not enough time for Aizawl to get back into this one. There goes the full-time whistle. 90+4' GOOOOOOOOOOOOOOOOOOOOOOOOOOOOOOOOOOOOOOOOOOAL Jugovic. What drama. Watson's free-kick clipped in on a plate for the Serbian who smashes it past Albino and Bengaluru are go into a frenzy. 90+3' Jaryan fouls Watson and gets a yellow. Free-kick Bengaluru just towards the right edge of the box. 90+2' Substitutopn Aizawl Rane off Albert on. 90+1' Into four minutes of added time. 90' Kingslee gets a yellow. 88' WHAT A CHANCE. Watson with a free-kick and Jugovic with the header down that bounces just in front of the keeper and over. 86' At the other end, Bayi turns and shoots straight at the keeper. 85' Good play between Daniel and Chhetri but Chhetri's shot is wide. 84' Aizawl free-kick from all of about 40 yards blazed over by Jaryan. 83' Substitution Bengaluru Lenny off Seminlen on. 81' Substitution Aizawl Laldanmawaia off Laltanpuia on. 79' Ping-ball just outtside the box and Jaryan's drive is straight at the keeper. 75' Amnah picks up a lose ball just outside the box and drives one. Tell you what that had Amrinder scurrying but it was wide. 74' Salam Ranjan with a high foot and free-kick Aizawl. Clipped in and easily cleared. '72' Aizawl corner overhit and over everyone. 70' CHANCE. Bengaluru with a quick counter and as the ball comes in Aizawl somehow get it clear. 69' Rane tussling for the ball on the edge of the box fouls Johnson and gives away a defensive free-kick. 67' Substitutin Aizawl Brandon off Lalmuankima on. 66' Bayi gets the ball in space on the left edge of the box and takes a shot which gover over. 65' Lalramchullova's corner cleared to Rane whose first-time shot from distance is over. 63' Jugovic goes into the book minutes after coming on. 61' Watson with a free-kick clipped iin and Johnson hits the groud but the referee waves play on. 59' Marjan Jugovic comes on from Eugeneson Lyngdoh! 58' Aizawl find a lot of space on the right as Amnah finds Baye who finds a winger. Jaryan takes a shot! Amrinder saves. Bengaluru giving a lot of space to Aizawl. 57' Trying to play a move on the ground, Aizawl FC's Rane passes it to Mehta, who tries to lay it to Mawia. Attack breaks down and Bengaluru regain control! 56' Aizawl FC win a free-kick outside the opposition box as Alwyn George clips Al Amnah! Jayesh will be licking his chances! 55' Nishu Kumar! Nishu Kumar! The right back will have a happy sleep tonight as West Block Blues continue his chants! 54' Chhetri trying to make something in the opposition half, but Jaryan would have none of it. The defensive midfielder breaks the move strongly. 52' The commentator seems to know a lot of stats about Alfred Jaryan. ;) Khel Now has collated all of it, in a specific article. 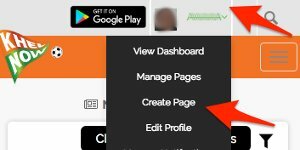 You can find it out on KhelNow.com. 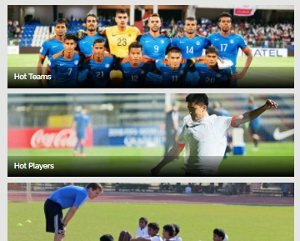 Also, don't forget signing up on Indian football's best platform! Comment guys! 52' Amnah finds Laldanmawia on the right wing. The diminutive player played it to Baye, who lays it out to Jaryan. The pile diver is wide! 51' West Block Blues cheering Nishu Kumar's name. He just made a hash! 49' Mehta finds Baye with a throw. The striker controls it finely and forwards it to Laldanmawia, who's strayed offside. Story of the game! 48' It is a good feeling to see Chhetri play more centrally. Brandon attacks from the left. 46' Back into action, the teams have changed ends. Bengaluru attack from the right to left and Aizawl vice-versa. Welcome back friends. Its been an enthralling half of football. Bengaluru started the better with the best chnces falling the way of Chhetri. Aizawl have come into the game as it has progressed with Bayi and Rane producing saves from Amrinder, before Mehta struck the bar late on. Still lots to play for. Join us in a bit. 45+3' There goes the whistle for the break. 45+1 Into two minutes of added time. 43' WOODWORK. Mehta with a rasping dribe from all of nearly 30 yards that rattles the bar and than Rane fires wide. 41' Antonio and Zohmingliana Ralte both get yellows for innocuous fouls. 39' Its getting spicy on the touchline. As Jamil tries to put the ball back in play Chhetri kicks it away from front of him and words are exchanged. Roca has been complaining about Mehta's routine for the long throws. 37' Both teams have been a bit careless with the ba,ll in midfield. Amnah once again tries a long ball butb this time the offside flag halts the Northeast outfit. 34' Sustsained sopell of Aizawl pressure for the first time in the game but the final pass is letting them down. 30' Aizawl have withstood a series of Bengaluru attacks, but the likes of Amnah, Jaryan, Rane and Bayi are starting to get into the ga,e. 27' Amnah finds Rane with a lovely ball but the offside flag goes up. 25' Substitution Bengaluru. This is a surprise. Udanta off Alwyn on. 23' A hectic few minutes. First a Watson corner results in a melae in which a first time shot is blocked. Aizawl try to counter but Bengaluru get the ball in midfield and attack themselves. Lovely link-up play between Chhetri and Daniel. The skipper dribbles in to the box and shoots but Albino produces a good reaction save. A second corner is then cleared. 18' Both teams attacking in fits and starts. No tempo to the game yet. A bit of a stop-start affair. 15' Bengaluru corner clipped in. Johnson goes for the header but Kingslee does well to clear. 12' Bengaluru give the ball away in midfield. Rane pounces and finds Brandon whose ball in is cleared by Nishu for a corner. The set-piece is taken short. Lalramchullova finds Jaryan whose shot from outside the box is well wide. 9' Mehta with the first Aizawl corner which is easily cleared. 7' Aizawl struggling to keep the ball as Bengaluru are trying to get at them with pace. 5' CHANCE. Lyngfdoh gets beyond his marker and whips in a cross. Daniel's shot from close range deflects off Kingslee but no corner is given. 4' First attack of the game from the hosts results in a corner. Clipped in to the far post. Hooked back in and Chhetri's shot is straight of the keeper. 2' Interesting scenre before kickoff as Daniel and most of the Bengaluru players stood at the centre circle for the best part of two minutes while Aizawl were in their hurdle. Read into that what you will. 1' We have kickoff here in Bengaluru. 4:32pm Here come the team to a rousing reception at the Kanteerava. Kickoff is next stay tuned. 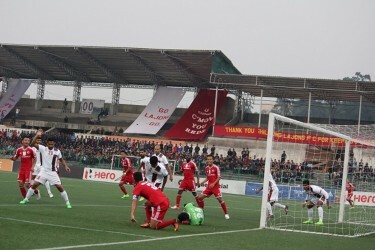 4:30pm This is the fourth league meeting between the two teams and Aizawl have failed to beat the Blues. Can they break their duck today? Keep reading to find out. 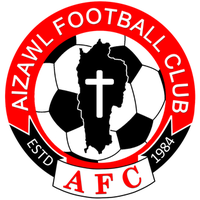 Aizawl FC XI: Albino Gomes; Ashutosh Mehta, Lalram Chullova, Kingsley Eze, Zohmingliana Ralte; Brandon Vanlalremdika, Laldanmawia Ralte, Mahmoud Al Amna; Jayesh Rane, Alfred Jaryan; Bayi Kamo. 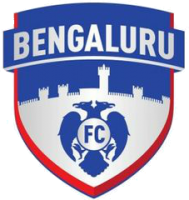 4:25pm Bengaluru FC XI: Amrinder Singh; Salam Ranjan Singh, John Johnson, Juanan, Nishu Kumar; Lenny Rodrigues, Eugeneson Lyngdoh, Cameron Watson; Daniel Lalhlimpuia, Udanta Singh, Sunil Chhetri. 4:20pm Teams coming up shortly. Just to remind you that these two teams drew 1-1 earlier in the season as Sunil Chhetri equalised for his team. 4:10pm This is going to be a potentially decisive day in the title race so we will set the scene so you know what's at stake. Aizawl have a 30point lead at the top over East Bengal. Both teams have played 14 games. Mohun Bagan are four off the pace but have a game iin hand. The Kolkata Derby follows straight after this game. 4:00pm Hello and welcome to the live commentary of the I-League match between Bengaluru FC Vs Aizawl FC. This is your host Mrunal Nakashe live from Shree Kantereeva Stadium. Bengaluru FC were hit with a reality check last week when they were absolutely thrashed by Mohun Bagan in Kolkata and that defeat hindered their hopes of making the top three this season. But Bengaluru still remain a formidable side at their home and with their supporters cheering them on throughout the game, they'll look to rekindle that magic and give their supporters something to cherish as they look to scupper Aizawl’s title bid and finish the season strongly. Aizawl FC's aspirations of winning the I-League took a hit in the last matchday when they came up with a disappointing draw away to Minerva Punjab and face a colossal task of defeating Bengaluru FC at their home, which not many teams have been able to do so far. 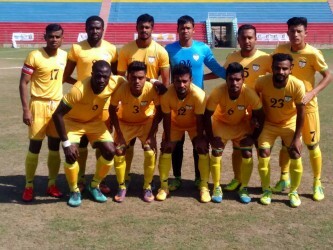 But Khalid Jamil’s men have exceeded expectations and defied everyone who had doubted them before and they'll look to get the decisive win against Bengaluru which can give them the confidence to go all the way this season and lift the I-League title. Sunil Chhetri rescued a point for the Blues when the two teams met earlier in the campaign.